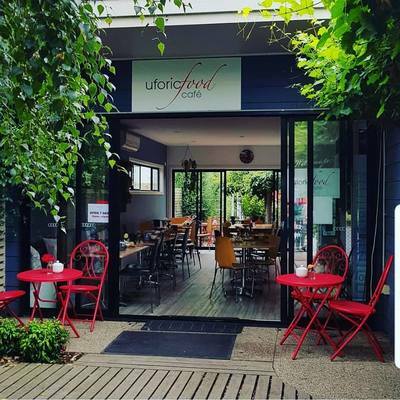 Located a short detour from the start of the Great Ocean Road, this child friendly cafe prides itself on serving delicious local produce in a beautiful relaxed environment. 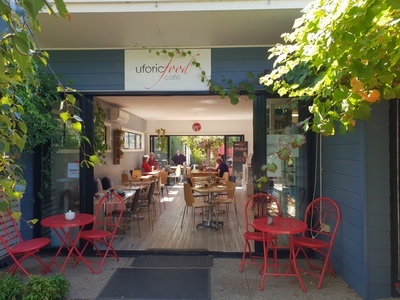 Everything about Uforic Food Cafe is about beauty and love. The light filled space is open plan leading out to an inviting courtyard. 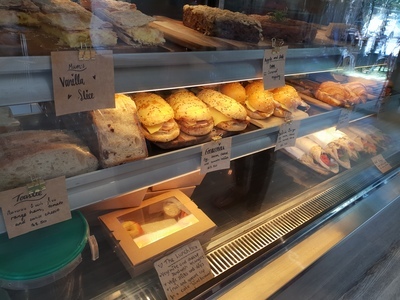 With a large selection of freshly made sandwiches plus an extensive lunch and brunch menum your hardest decision will be choosing what to have. If the kids need some play time, why not order and head next door to the Messy Patch. Uforic Foods will even deliver orders to the picnic tables in Messy Patch, for you to enjoy while watching the kids play.